12 Days of Xmas, DAY 7. Today we welcome the GoldRush Trail Run back with discounted entry PLUS a free @trailrunmag calendar. 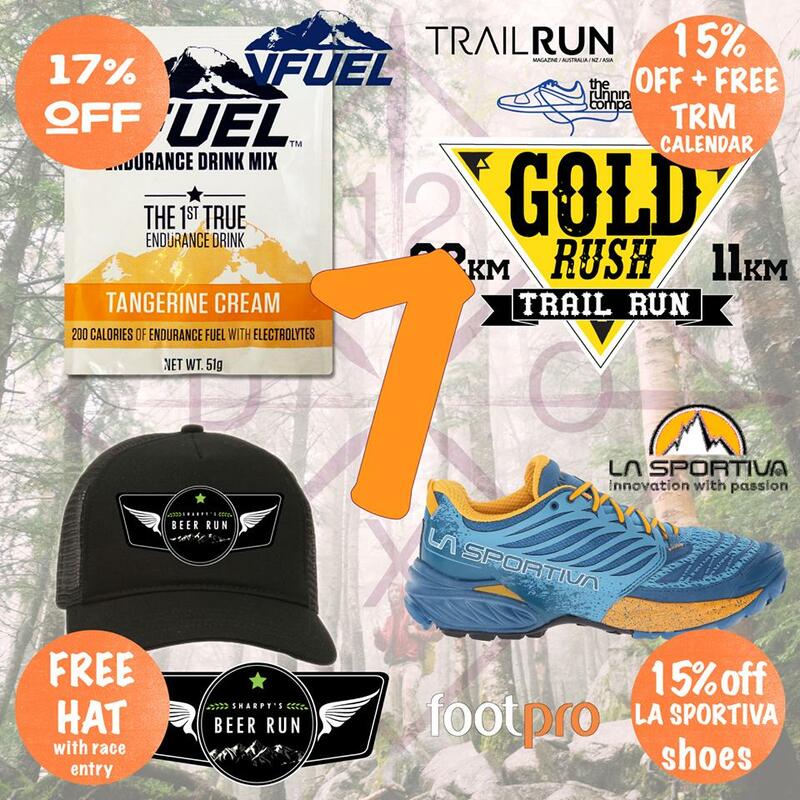 FootPro are offering 15% off La Sportiva Trailrunning Shoes and Sharpy’s Beer Run are offering a massive a free black trucker with entries. VFuel are offering 17% off Tangerine Cream Endurance Drink. Happy Tuesday people, check these Deals. /// 3. Sharpy’s Beer Run are offering a free Black Trucker Hat with every registration. Head to trailology.com.au and register. No code required. /// 4. VFuel Australia are offering 17% off another their Tangerine Cream Endurance Drink Flavour. Worried about the Dairy? Don’t be! There is none, it’s a name only. A smooth very mild citrus flavour that is deceptively awesome. No Coupon needed, just head over to vfuelaustralia.com and discount is already applied. That’s all for today, but remember to share the love and tune in each day to see what other awesome deals we’ve managed to find for you! Posted in Latest News and tagged #12DoXSale, Beer, Running, SBR2017, Sharpy's Beer Run, Trail Run, trail running, Trailology.